Acronym used by the NSA for Signals Intelligence. SIGINT involves collecting and analyzing data from communication, information and detection systems, and relaying the relevant information to those who need it for their operations. The NSA/CSS collects SIGINT from all sources. It is often in foreign languages and protected by encryption and/or other security. 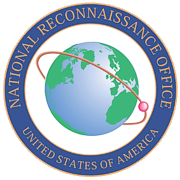 A key provider of SIGINT is the NRO ( logo left ). The NRO has several reconnaissance satellites that gather SIGINT.